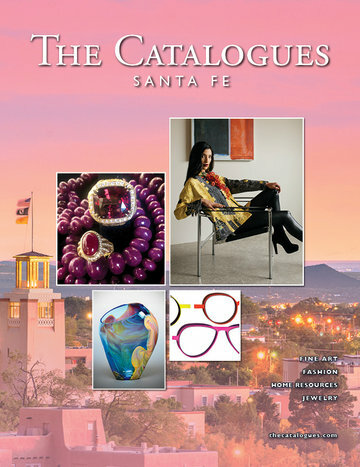 Click here to browse The Santa Fe Catalogue print edition. With its crisp, clear air and bright, sunny weather, Santa Fe couldn't be more welcoming. On a plateau at the base of the Sangre de Cristo Mountains–at an elevation of 7,000 feet–the city is surrounded by remnants of a 2,000-year-old Pueblo civilization and filled with reminders of almost four centuries of Spanish and Mexican rule. The town's placid central Plaza, which dates from the early 17th century, has been the site of bullfights, gunfights, battles, political rallies, promenades, and public markets over the years. A one-of-a-kind destination, Santa Fe is fabled for its rows of chic art galleries, superb restaurants, and shops selling Southwestern furnishings and cowboy gear.